I could be the greenest teacher around, but I’m definitely learning that students have to decide for themselves that they want to learn something. So…. I pulled a few tricks out of my very shallow bag and we spent a day doing challenge activities out on the soccer field. Here are some pictures of the students in the 4 different stations… some of them were still at the “lead a student to learning” stage, but most of them found out you could think AND have fun at the same time. BRILLIANT! 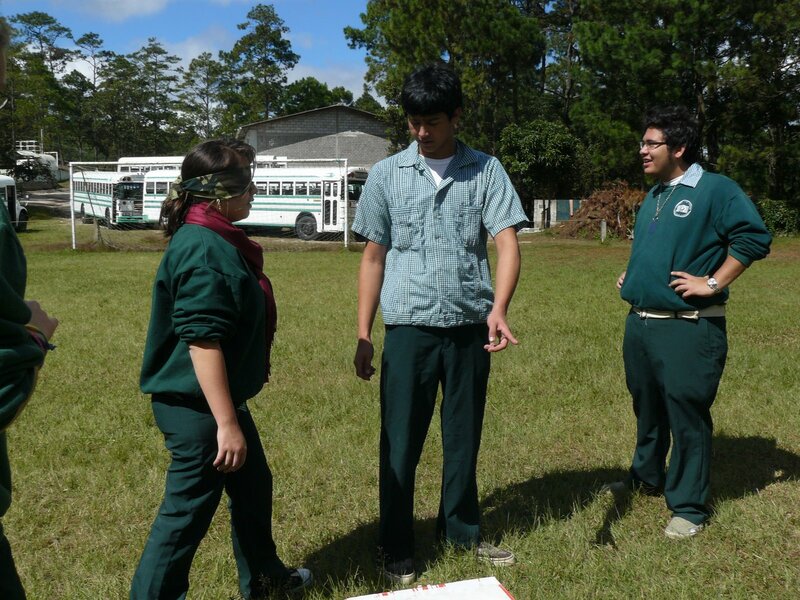 Blindman: Students had to direct a blindfolded classmate through a series of obstacles. 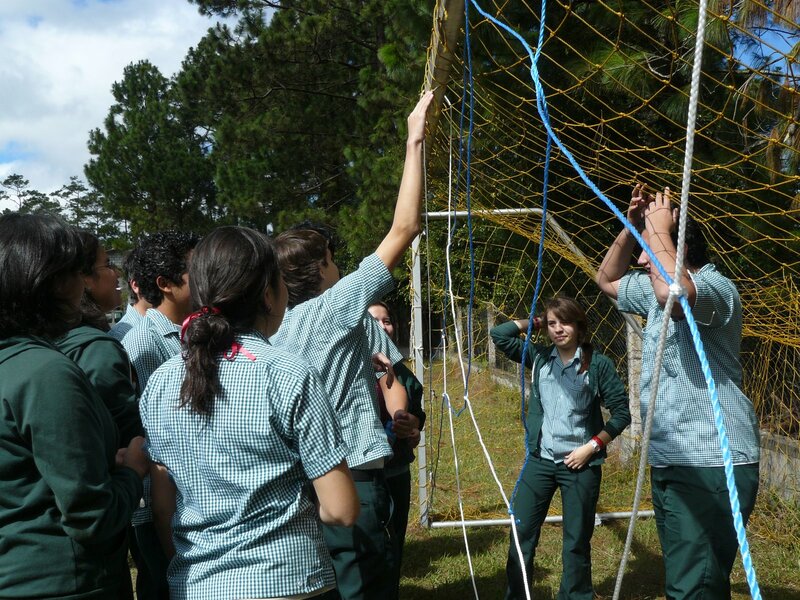 Spider Web – students had to get everyone from one side of the ‘magic’ web to the other … every time they used a portal it could not be used again. 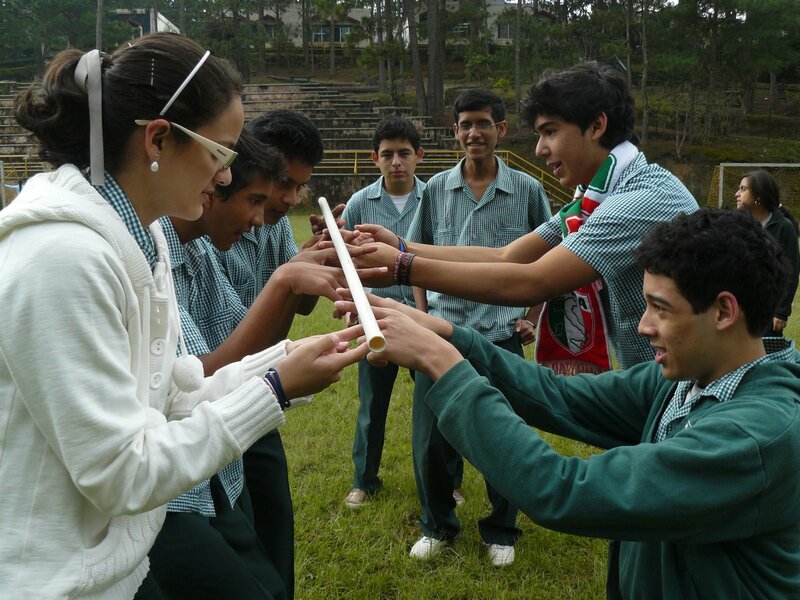 Magic Stick – students had to place both fingers nail side up underneath this stick and simply bring it to the ground … I’ve never heard so many students yell “BAJEN” (lower) so intensely! 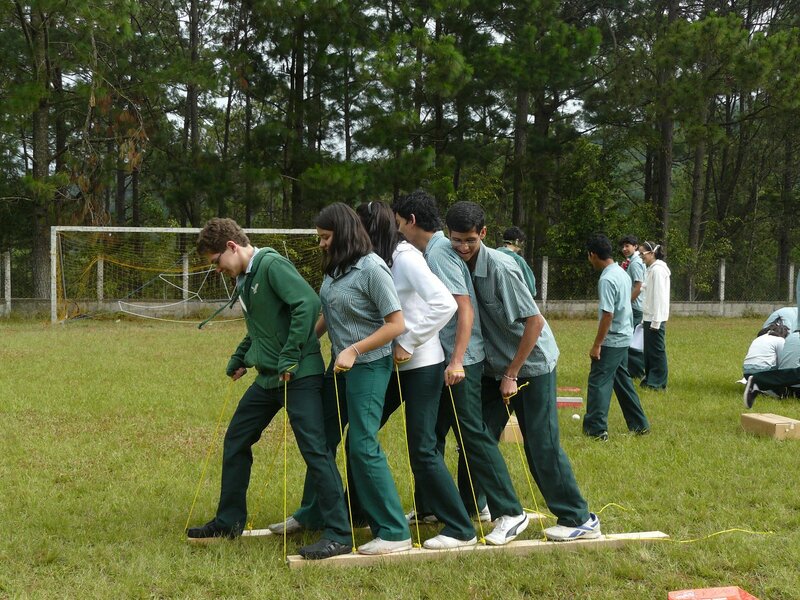 Ski Challenge – students had to move the skis as a team in a certain direction. I’ll write more later… what an exhausting week! There’s more to come and much more to write. What do you do for problem solving – classroom or otherwise? This entry was posted in creativity. Previous Post Previous post: Can I have "Home Alone" for 400 please?